Books, games, videos, and more to enjoy during the holidays. Try your hand at growing a forest with sunlight as your currency in the Photosynthesis board game. Geckos are known for their acrobatic feats. But did you know they can actually race on water? These microscopic images of seeds are extraordinary. From a purple-flowering yam to a 24-metre tall rainforest tree, Kew Gardens’ scientists identified 172 plants new to science in 2018. Fox 8 by George Saunders is the story of a fox who learns to talk Yunan by listening to children’s bedtime stories, goes shopping at the mall, and tries to save his pack when their food supply runs out. Kids can make robots, video games, circuits, and more at North Battleford Public Library’s Makerspace Play Date at 2 pm, Dec. 27. Regina’s Enviro Collective will meet at 7 pm, Jan. 10. Participants will hear about and get a chance to become involved in various projects. Enjoy a natural history exhibition with over 30 live animals from Jan. 11-13 in Regina. 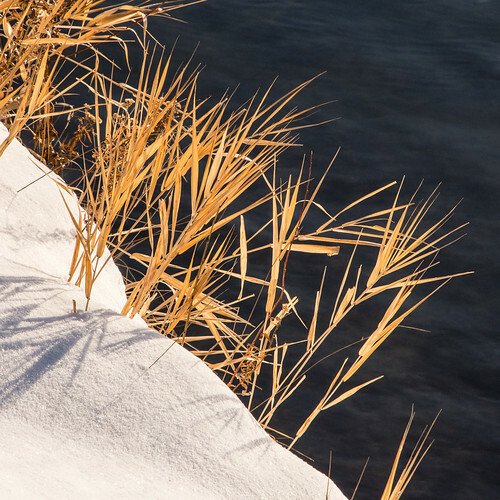 Join SaskOutdoors for a one-day workshop introducing educators to the Project Wild and Below Zero interdisciplinary activity guides on Jan. 19 in Regina. SaskOutdoors and Wildernook Fresh Air Learning are holding a one-day workshop from 9 am-4 pm, Jan. 19, in Saskatoon to introduce educators to the interdisciplinary Below Zero activity guide. The Saskatchewan Environmental Society proposes a practical path to reducing greenhouse gas emissions in Saskatchewan. The aviation industry is responsible for approximately 4.6% of human-caused climate change. Energy-positive buildings: if you can do it in Norway, you can do it anywhere. Patagonia’s new company mission is to save the planet. This is the last issue of EcoSask News for 2018. We’ll be back on January 1, 2019, with a New Year’s Day Special. Happy holidays! Join the U of S Office of Sustainability from 12-1 pm, Dec. 15. Share and learn skills to repair things at Repair Café Prince Albert from 1-4 pm, Dec. 15. Supplies will also be available to remake mitts from old sweaters. Saskatoon Enviro Collective will be discussing how we can support a healthy, environmentally-oriented community from 6:30-8 pm, Dec. 18. Participate in a webinar about Manitoba’s burrowing owl recovery program at noon, Dec. 19. Lyndon Penner will discuss the ways in which birds are honoured and worshipped at Wild Birds Unlimited at 5 pm, Dec. 21. Passive House Canada is offering a 4-day course on passive house design and construction in Saskatoon from Jan. 24-27. If you’re concerned about farmland drainage, consider signing this petition to the federal Minister of Environment and Climate Change. 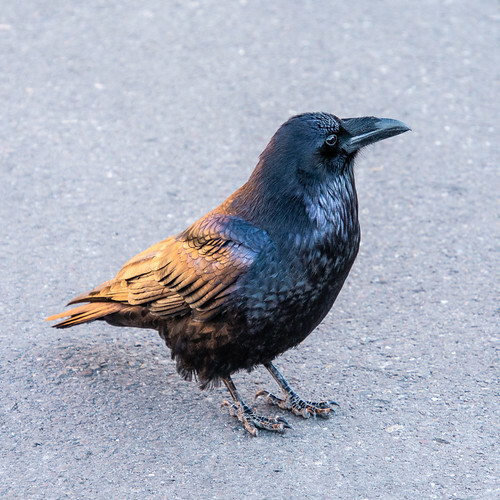 The City of Saskatoon is looking into ways to reduce the number of birds that fly into windows and die using strategies such as decals and reduced lighting at night. Xcel Energy, one of the biggest utilities in the US, has committed to going completely carbon-free by 2050 (and 80 percent carbon-free by 2030). 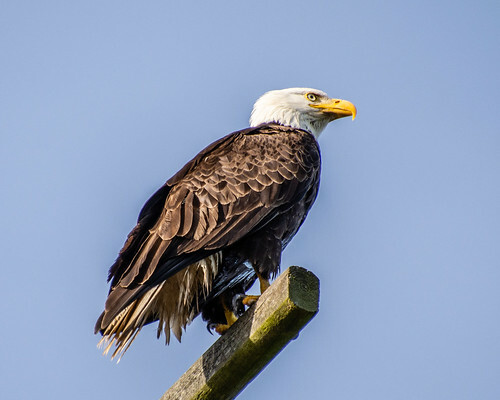 In a democracy, should nature have a vote? Join a century-old tradition by participating in the 2018 Christmas Bird and Mammal Count in Saskatchewan. No experience is necessary. Count birds at a feeder on your property or join a team that is covering part of a count circle. Organizers ask that you register as soon as possible. Christmas bird counts are for all ages! Check out the Christmas Bird Counts for Kids in Regina and Saskatoon (see below). Moose Jaw Nature Society plans to hold a search, but the date is not yet set. Contact them if you’re interested in participating (Lorna Arnold, 306-690-8739). 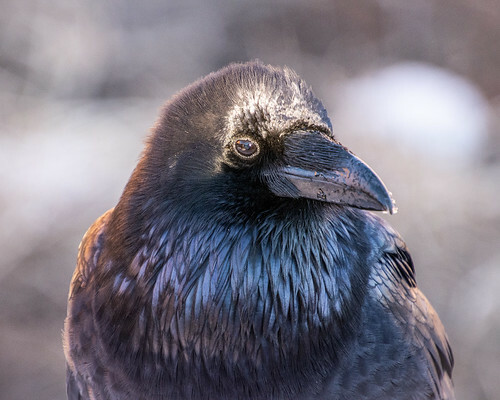 Dec. 27 – Saskatoon – Saskatoon Zoo Society is hosting a Christmas Bird Count for Kids at Beaver Creek Conservation Area. No registration is necessary. For more information, contact Greg Fenty (greg.fenty@gmail.com or 306-343-6943). 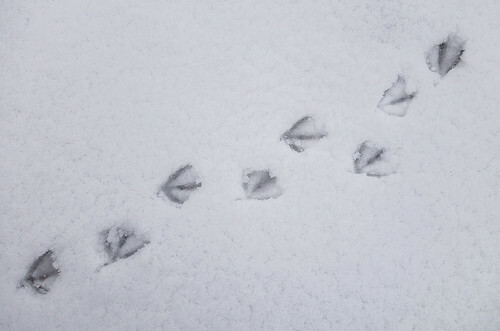 Jan. 5 – Regina – Nature Saskatchewan is hosting a Christmas Bird Count for Kids at Wascana Centre. For more information, contact Lacey Weekes (laceyweekes@naturesask.ca or 306-780-9481). The world’s freshwater supplies are threatened as never before says Jay Famigletti, Executive Director of the University of Saskatchewan’s Global Institute for Water Security. World-wide, wetlands are being destroyed at 3 times the rate of forests (35% losses since 1970) and one-quarter of wetland plants and animals are at risk of extinction. Improved water management and governance are essential if we want to ensure future water and food security. When the glaciers receded after the last Ice Age, they left behind an array of shallow depressions providing the Prairie Pothole Region with a wealth of small wetlands storing water and providing habitat for a wide variety of plants and animals. In the past, farmers worked around the wetlands, but large farms, massive equipment, and a drive for greater efficiency and productivity have led to farmers draining the potholes. There’s a strong sentiment among landowners that they can do what they want on their own land and that they should be applauded for their contributions to feeding the world. However, the farmers’ short-term interests are at odds with the long-term interests of the general public. Draining wetlands leads to flooding downstream, increases erosion, lowers the water table, and reduces the supply of water in times of drought. It also fails to recognize wetlands’ important role in carbon sequestration. 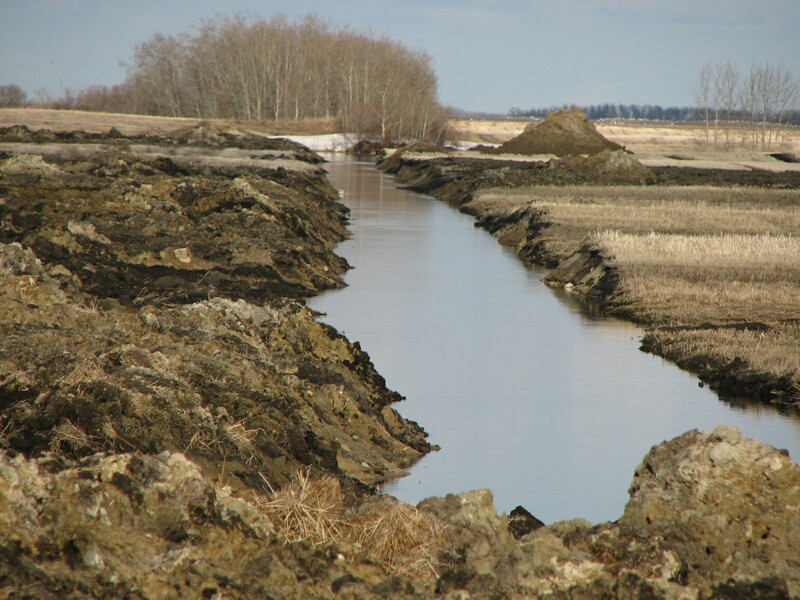 In 2015, the Saskatchewan Water Security Agency (WSA) implemented the Agricultural Water Management Strategy in an effort to support responsible drainage. All existing and new drainage now requires WSA approval. To streamline the process, the agency has adopted a network approach working with all the farmers in a specific drainage area. 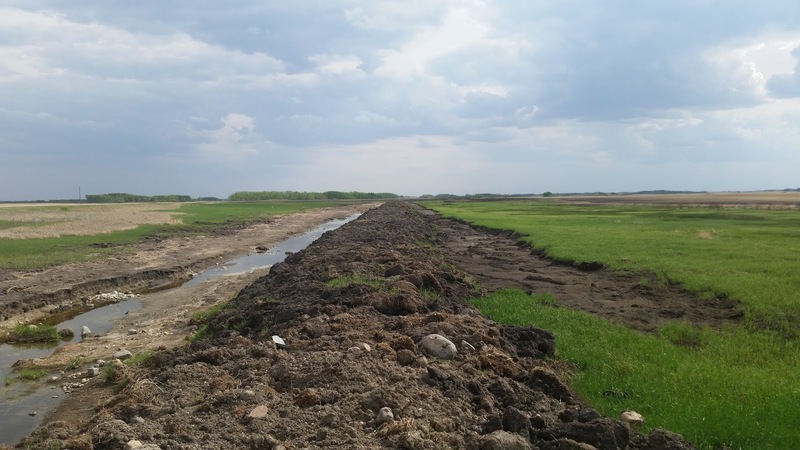 The Water Security Agency approved the first drainage network at Dry Lake northeast of Weyburn in 2017, issuing approvals for the 73 farmers in the network to drain a total of 586 acres of wetlands or 90% of the wetlands in the area. Mitigation in the form of restoring or retaining wetlands accounted for less than 10% of the loss area. No other efforts were made to mitigate for the impacts to water quality and loss of habitat. There was no evaluation or monitoring of the immediate or cumulative impact on water quality and loss of wetland habitat. The Saskatchewan public as a whole and Saskatchewan’s Indigenous people were not consulted. More than 8 additional farmland drainage projects are now underway. Wetland loss in the Blackbird Creek and Saline Lake network is expected to exceed 90%. The lack of a comprehensive approach to farmland drainage pits farmers against those downstream who face flooding and loss of water quality. The water level in the Quill Lakes has been rising for over a decade and, as a terminal basin, there is nowhere for it to go. 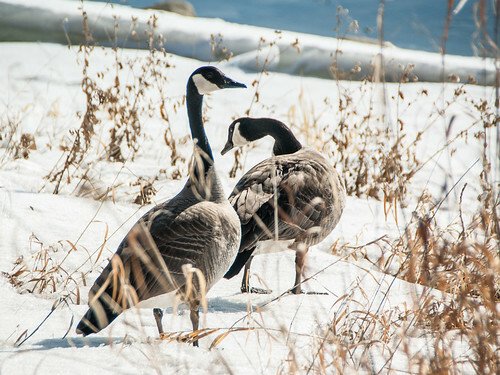 The water is high in inorganic salts that could damage fisheries, wildlife habitat, and water quality if introduced into nearby freshwater systems, affecting cottage-owners’ water supply as well as Last Mountain Lake, an important migratory bird sanctuary. Proposed solutions to date have been inadequate as they didn’t meet the needs and concerns of all the interested parties. Urban residents tend to view farmland drainage as a rural issue, which doesn’t affect their lives. And yet the impact can be significant. The City of Des Moines, Iowa, has taken several upstream farmland drainage districts to court claiming that the release of nitrates from farmland into the Raccoon River has resulted in unacceptably high nitrate levels in the city’s water supply. The city has been forced to introduce a variety of treatment techniques to purify the water and expects to be forced to build a new treatment plant to deal with the issue in future. In June 2018, a group of concerned citizens met to discuss and develop an action plan to address concerns around farmland drainage. A report has been published documenting the findings of the two-day roundtable and covers perceptions of land ownership and farmland drainage; environmental impacts; farmland drainage policies, legislation and enforcement; and a call to action in addressing the key challenges. Subsequent to the two-day get-together, a not-for-profit organization, the Citizens Environmental Alliance – Saskatchewan, was established to address the issues and actions coming out of the Farmland Drainage Round-table Initiative. The non-profit organization plans to facilitate communication, resource sharing, and coordination of actions to eliminate duplication of efforts. There will be a discussion of ecological risk assessment of pesticides in the prairie pothole region at 3:30 pm, Dec. 7, as part of the WildEcol Seminar Series. Join SaskOutdoors at Sundogs Excursions from 10 am-3 pm, Dec. 9, for a wildlife scavenger hunt, snowshoeing, and more. There will be group discussions following the short presentations at the Community Climate Conversation in Cathedral, Dec. 9, 6:30-9:30 pm. Professor Ryan Brook will discuss wild pigs and the rapid rise in their numbers at the 7:30 pm, Dec. 13, meeting of the Saskatoon Nature Society. If you’re interested in outdoor education, take a look at the workshops being planned for the new year by SaskOutdoors: Project Wet (Regina & Saskatoon), Project Wild (Regina & Saskatoon), Below Zero (Regina & Saskatoon), NaturePlay (Saskatoon), and Flying Wild (Regina & Saskatoon). Edible Landscapes Permaculture Design & Consulting will be offering two series of seasonal foraging tours (one urban) in 2019. This week brought a number of excellent articles about the future of coal and the transition to a coal-free future. Climate Justice Saskatoon published a report entitled Bridging the Gap: Building bridges between urban environmental groups and coal-producing communities in Saskatchewan based on their conversations with local residents in Coronach and Estevan. Life after Coal looks at the situation in Alberta. A parallel article looks at why oil communities in Alberta need a transition plan, not new pipelines. The World Needs to Quit Coal. Why is it so hard? looks at the situation globally. Germany’s plan to fight plastic waste includes eliminating unnecessary packaging and replacing existing packaging with environmentally friendly alternatives. What is the best way to save nature – to cordon off areas for parks and open space or to integrate conservation measures on working lands? Or should we do both? Denmark is considering food labels that indicate environmental impact. The Netherlands is pioneering a new approach to generating and sharing energy through neighbourhood microgrids. Spanish people support banning cars in the centre of any town over 50,00 residents.